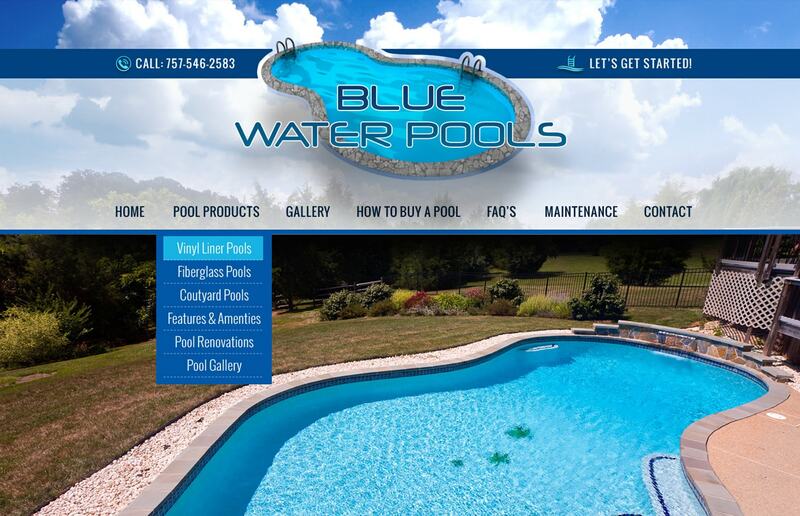 Website Design Pool Contractors Hampton Roads | Here is another outstanding pool company website design by VISIONEFX. Our branded, SEO powered Word Press for websites will become the most important digital asset you will ever own. Your website is live 24/7 is a powerful marketing tool to grow your customer base. It is important to map out a strategy to drive visitors to your new site. Your new website is designed in such a way to convert those visitors into online inquiries and phone calls.